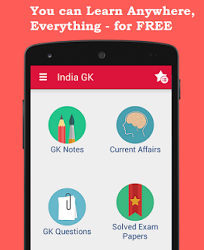 3rd, 4th January 2017 Current Affairs MCQs, Quiz, Questions: Current Affairs for January 2017, Daily Multiple Choice Questions (MCQs) for India GK, World GK and current affairs with Collection of daily objective type Question by www.Indiagk.net based on General Knowledge (GK) and General Science (GS) Questions for UPSC, State PSC, SSC, Police exam, Railway exam, SBI, Bank PO, IBPC, SSC, LDC, UDC, Army, Airforce, Navy, Coast Guard, Bank Clerk, TET and all entrance examination with current affairs News, Multiple Choice Questions (MCQs) available on Website www.IndiaGK.net and Android Apps with daily updates:. The 104th Indian Science Congress (ISC) has started in which city? What is the name of the India-born DNA expert who was chosen to be conferred with a knighthood by the British Queen as announced in the New Years’ Honours List 2017? NTR Arogya Raksha, a new health scheme has been launched by which state government? Who was known as the “Ambassador to the world's religions”? Who is the newly appointed Controller General of Accounts? Who steps down as Indian ODI, T20 captain on 4th January 2016?